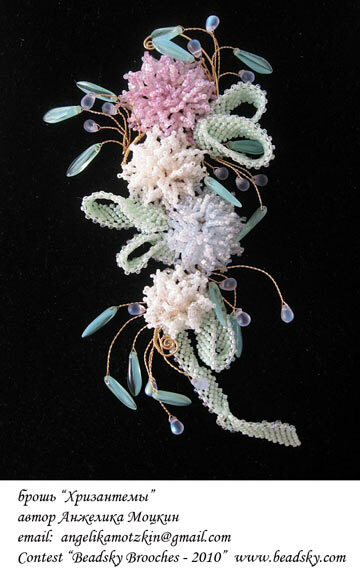 Theme of the Competition – Brooches made of seed beads, also brooches from any other materials combined with seed beads. Thank you to all the participants who submitted their works for our contest! I hope you enjoyed it even if you did not become one of the winners. I personally find all the works very creative and inspiring. Nevertheless I have to announce the winner. She is Angelika Motzkin from Israel. 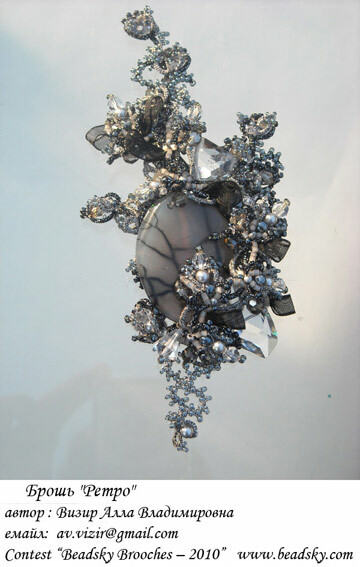 Her work is beautiful and I am sending her the prize and congratulations with her victory! 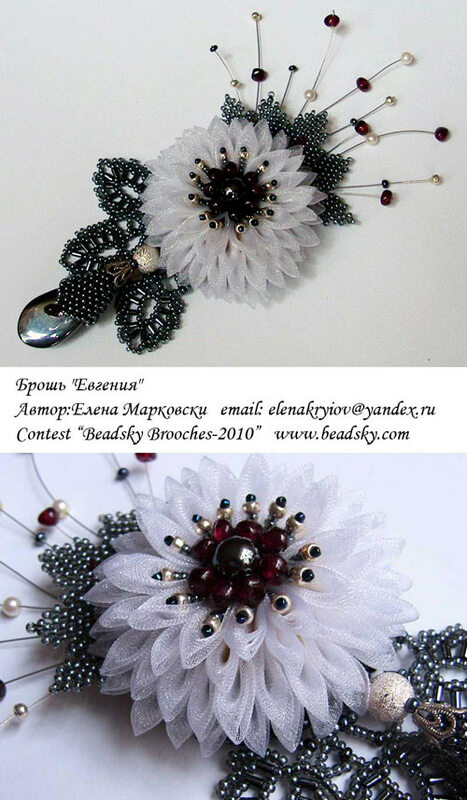 Third place brooch «Eugenia», author Elena Markovski from Germany. The 2nd prize and the 3rd prizeis are Diplomas of the International Association of Designers ART-BISER"
Thank you for participating in the contest!